The Mumbai blasts of 1993, the attack on the Indian Parliament in 2001, Mumbai 26/11—cross-border terrorism has continued unabated. What can India do to motivate Pakistan to do more to prevent such attacks? In the nuclear times that we live in, where a military counter-attack could escalate to destruction beyond imagination, overt warfare is clearly not an option. But since outright peacemaking seems similarly infeasible, what combination of coercive pressure and bargaining could lead to peace? 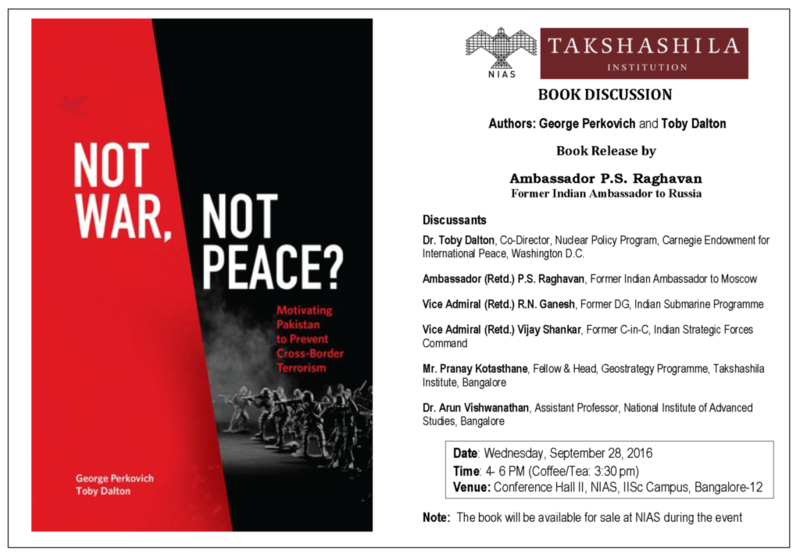 The authors provide, for the first time, a comprehensive assessment of the violent and non-violent options available to India for compelling Pakistan to take concrete steps towards curbing terrorism originating in its homeland. 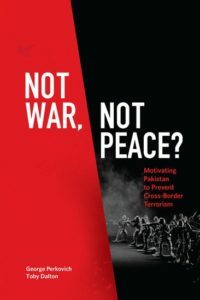 They draw on extensive interviews with senior Indian and Pakistani officials, in service and retired, to explore the challenges involved in compellence and to show how non-violent coercion combined with clarity on the economic, social, and reputational costs of terrorism can better motivate Pakistan to pacify groups involved in cross-border terrorism. Not War, Not Peace? goes beyond the much discussed theories of nuclear deterrence and counterterrorism strategy to explore a new approach to resolving old conflicts. George Perkovich is Vice President for Studies at the Carnegie Endowment for International Peace. He has worked for three decades on nuclear strategy and security issues in South Asia. Perkovich is the author of India’s Nuclear Bomb. Toby Dalton is Co-Director of the Nuclear Policy Program at the Carnegie Endowment for International Peace, where his research focusses on cooperative security initiatives and the management of nuclear challenges in South Asia and East Asia. From 2002 to 2010, Dalton served in a variety of positions at the US Department of Energy.